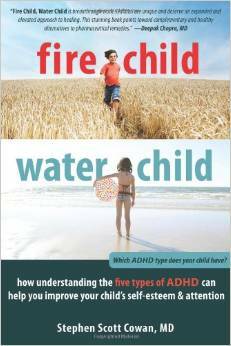 Fire Child, Water Child is a revolutionary guide to parenting a child with attention-deficit hyperactivity disorder (ADHD) that does not rely on medication or pathologizing your child’s challenges. This method, created by pediatrician and ADHD specialist Stephen Scott Cowan, helps you identify your child’s unique focusing style—wood, fire, earth, metal, or water—and calm the stress that can contribute to your child’s ADHD symptoms. What is your child’s ADHD style? By using this personalized approach, you will help your child reduce impulsive behavior, regulate attention, and handle school and home routines with confidence.